With South Africa’s economic recovery remaining hesitant and the global growth outlook uncertain, the Reserve Bank has decided to leave interest rates unchanged, Governor Gill Marcus said at the Bank’s monetary policy committee (MPC) meeting on Thursday. The repurchase (repo) rate is that rate at which the Reserve Bank lends money to commercial banks, who in turn lend money to corporate and individual consumers at a higher rate, the prime interest rate – which is currently the repo rate plus 3.5%. There had been no interest rate cut this year. The last time the central bank cut the repo rate was in November 2010 – cutting it to its lowest level in a period of 30 years. 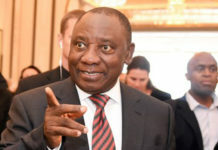 The South African Reserve Bank (SARB) has also revised its GDP growth forecast to average 3% compared to its previous forecast of 3.2%, while the growth forecasts for 2012 and 2013 have been revised down to 3.2% and 4.2%, from 3.6% and 4.4% respectively. “The downward revision is a result of revised assumptions primarily of international commodity prices and global growth,” Marcus said. The MPC had also discussed the decision by rating agency Moody’s Investor Services revision of the country’s A3 rating outlook from stable to negative. The rating agency cited slower economic growth than what was previously expected as well a growing political risk to low budget deficits. Marcus added that the global growth outlook continued to be characterised by heightened uncertainty, with weak growth and declining consumer confidence in several advanced economies, while growth in many emerging markets had moderated over the year. 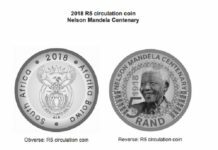 “The exchange rate of the rand continues to be subject to changes in risk aversion in global financial markets,” she said, adding that the currency had depreciated by around 18.6% since the beginning of the year. According to the Bank, food prices continue to pose an upside risk to the inflation outlook, with a further acceleration of food inflation expected in the near term. Marcus said consumer inflation was forecast to breach the Bank’s target range of 6% in the last quarter of 2011 and to peak at around 6.3% in the first quarter of 2012, before gradually declining and returning to the range in the final quarter of the year. Inflation is expected to measure 5.2% in the final quarter of 2013.
International oil prices have remained relatively stable and currently there is a small over-recovery on the domestic petrol price. If maintained, it could offer relief to motorists after four consecutive months of price hikes resulting in domestic petrol prices being at the highest levels ever.